Thinking about a new bike shed for the yard, I came across this nice example by local company Brighton Bike Sheds. Greenroof Shelter – Grassroof company’s John Little with Dusty Gedge. All singing, all dancing! 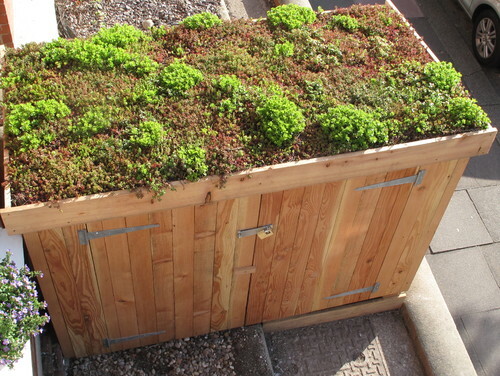 This entry was posted in green roof, green roofs and tagged bike shed, brighton bike shed, green roof. Bookmark the permalink.